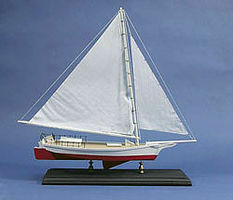 Shop online for 19 dumas wooden model ships at discounts up to 28%. This is Dumas' Static Display Skipjack Sailboat Kit. All the fittings, sail and even a display stand are included. 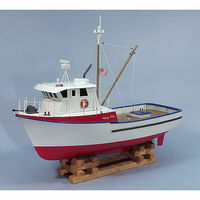 This is the 24'' Jolly Jay Fishing Trawler Wooden Boat Model Kit by Dumas. The Dumas 1956, 24' Sedan kit (Static Displau only) allows the less experienced modeler the opportunity to develop their planking skills, building the confindence needed to proceed to a more advanced model. At the same time this kit allows the advanced modeler to go beyond the basic kit and add details to give it their own personal touch. 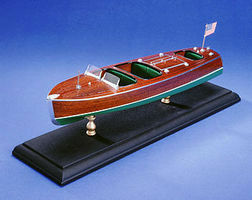 This is the 16'' Snipe Wooden Boat Model Kit by Dumas. 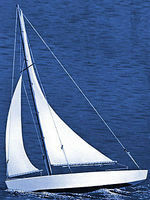 This is the 12'' Sailboat Junior Kit Wooden Boat Model Kit by Dumas. This is the Dumas Gondola Static Display Boat Kit from the Dumas Junior Modeler Collection. This is an All-Wood Static-Display 1949 Chris Craft Racing Runabout Boat. This 1" to 1' scale replica of the Lightning class boat also makes a beautiful display model for your office or living room. The kit is made up of plywood frames and handsome mahogany planking. Nylon sails add the finishing touch to this kit. This scale model of the popular west coast catamaran, the Hobie Cat 14, is an all wood kit that includes nylon sails. It's easy to build and she's fast and fun to free sail. The Dumas Barrel Back kit (Static Displau only) allows the less experienced modeler the opportunity to develop their planking skills, building the confindence needed to proceed to a more advanced model. At the same time this kit allows the advanced modeler to go beyond the basic kit and add details to give it their own personal touch. 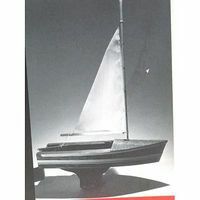 This is the 24'' Huson Wooden Boat Model Kit by Dumas. This is the Noah's Ark Model Wooden Boat Model Kit by Dumas. 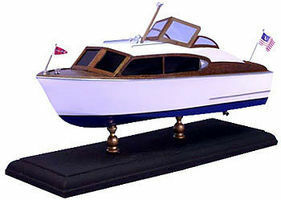 This is the 18-3/4'' DN Ice Wooden Boat Model Kit by Dumas. This is the Dumas Chinese Junk Static Display Boat Kit from the Dumas Junior Modeler Collection. This is the 12-1/2'' 1935 Chris Craft 25' Steamline Cruiser Laser Cut Kit (1/24) Wooden Boat Model Kit by Dumas. This is the Dumas Viking Ship Static Display Boat Kit from the Dumas Junior Modeler Collection.